By the time Zoe was born in 2006, it was being used to advertise a house building company. Whenever their ad played on TV (remember life before Netflix) baby Zoe would turn her attention to it, enthralled. I would imagine the kind of family house I wanted for us. Not the cookie cutter kind being sold by the TV ad. Back then we were living in a 3 level townhouse with no garden in the middle of a commercial city fringe area. It was great when I was single with flatmates, no gardening to do and a short walk to all the cafes, bars and restaurants we fancied. Not so great with a newborn when the laundry was two flights of stairs down, or a toddler, when stair gates had to be installed everywhere and there was nowhere to ride the ride on toys. We found our family house and it was a big financial stretch. A three bedroom bungalow with a small garden in an established suburb close to town. 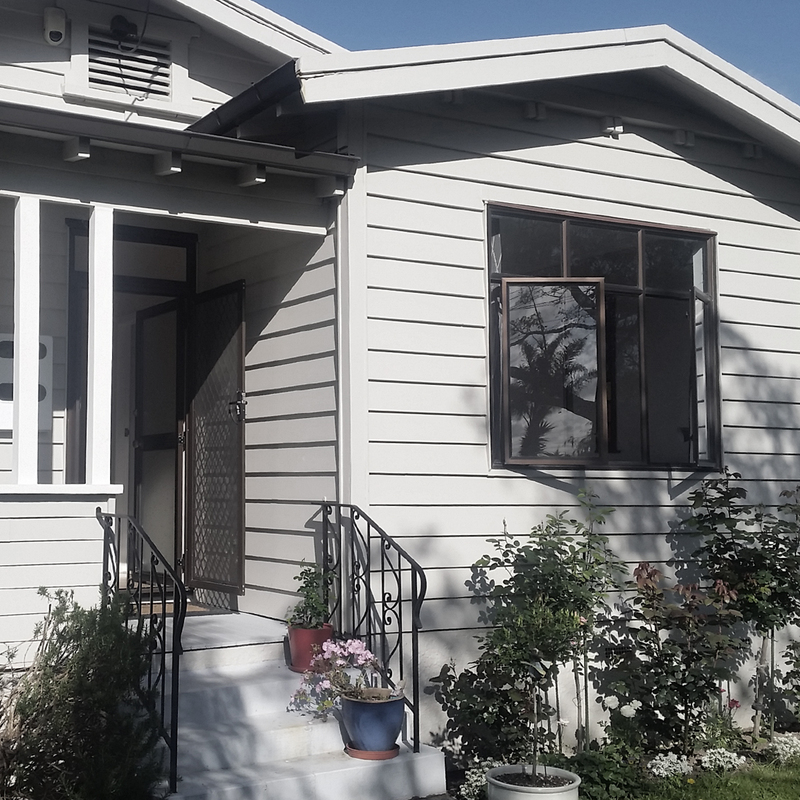 We were in the less desirable “South of Meola Rd” part, not the sought after “North of,” but we were walking distance to the zoo and the library and still only a very short commute to our jobs by Auckland standards. Zoe loved this house immediately, she could follow me around instead of standing at the top of the stairs behind the stairgate screaming “mama” if I ducked to another level for a moment. There was grass to play on and other houses to see on our walks and tricycle rides, something that surprised our urban jungle baby. “Look, another house,” she said about 50 times on our first walk around the neighbourhood. Four of Zoe’s six birthday parties were held here, her third birthday just a couple of days after her cancer diagnosis, her sixth just four months shy of her terminal diagnosis. We held an end of treatment party here when she finished chemo and was in remission. After Zoe’s cancer treatment we took all the chances we could to invite friends around for cake, parties, fireworks. We spent rainy afternoons baking or watching Peppa Pig and Dora snuggled together on the couch. She spent her last few weeks here surrounded by the people she loved, and here she died. Her body rested in its willow casket on my bed and friends visited to say goodbye. Many memories live in this house. Mine, but also those of Zoe’s dad, her grandmothers, aunts, uncles, cousins (if they were not too small to remember) and many friends. Yes some are of those last hard weeks, but many many more are of the everyday happiness variety, the kind you can easily take for granted. I’d like to think, that after her diagnosis, we didn’t. Every home I’ve ever aspired to has been a reflection of the person I wanted to be. When I was first married, in my early 20s, it was a character family home we bought, but circumstances soon found us moving cities and our next purchase was a funky city fringe loft apartment, suitable for the urbanite DINKs we had become. Single again, I bought the 3 level townhouse, which I shared with flatmates for a couple of years, enjoying the social life, and entertainment the city offered, before meeting Zoe’s dad and spending the first couple of years of Zoe’s life there. But the house where Zoe spent most of her life is the one I have loved the most, because I loved our life here. I thought about moving after she died – I didn’t really need a three bedroom, two bathroom bungalow with a huge kitchen and living area just for me – but memories held me here, as did the sense of being a memory keeper for others who knew her too. I wasn’t ready to move one year, two years, three years after Zoe’s death. But now I am. And in some ways it’s back to where I was. A two bedroom townhouse the next suburb over, no garden, low maintenance. Not so far physically, but a world away. In a way, it feels like a defeat. This house where Zoe once lived no longer reflects anything I can have, the family life I cherished and wanted for us. But in another way it reflects an acceptance that my identity is changing. I’ll always be Zoe’s mother, but I am other things as well, a woman moving towards the future, ready to take the opportunities life offers. Downsizing my financial and maintenance commitments means I’ll be able do more travelling, have a bit more money for seeing plays and music, socialising with friends. I’m not planning on leaving the memories behind. Well maybe the ghost of them that another family will perhaps feel as the echo of a little girl giggling, a sense that people were happy here, that it is a house filled with love. But four years on I know I will be taking Zoe with me, she’s a part of me that will go wherever I go. Wherever I live for the rest of my life, my home will still be be our house. Your writing has given me pause to think about my own house and why I love it so. Irrespective of where you live, your gift for poetic and honest reflection that Zoe’s passing has encouraged you to share, will continue to touch and tease the spirits of those of us who know you In person or in print. Thanks Robbie, did you decide why it is you love your house? The beautiful setting comes to mind! Ah crud. By now I should no better than to casually start one of your posts. I’m reading and eating my lunch and *sob*. You are moving, and closing a chapter so you can begin a new one, but it hurts across the blogosphere. I’m so happy for your next set of adventures, but there is just something about you leaving behind the memories of that home that is sad. Thank you, as always, for sharing and now I must go find a tissue so I can recover and finish my lunch. I know this and yet jumped in today without a thought of, “Johanna, this isn’t some frivolous post about a song you loved as a kiddo.” The tissue sponsor is a good idea. At least there would be a visual clue to remind me. A wonderful post. Hug. If I were close I’d help you move. Thank you for writing these. I just lost Cassidy a couple months ago and these help me. I’m so sorry about your terrible loss and glad you are finding my posts helpful. I also read a lot from other parents who had lost a child after losing Zoe. It helped me to know that it was a shared experience and that so many of us had the same feelings and issues. I’m leaving my house now as well with the same ideas that she will always be with me. I’ve been in the process of trying to get it ready for the last month when I read your blog I thought it was very interesting how you were writing exactly how I was feeling. I hope that find a beautiful new home where you can begin another chapter in your life. All of those wonderful Zoe moments will live in your heart, regardless of the four walls around you. Thank you – I have already found my new home and making plans for how some of Zoes things will be incorporated there. Beautifully moving, I hope your move goes well and wish you happiness in your new home and as your life moves forward. As you say, Zoe will always be you, where ever you may be.